Our UVX fabric features a 210gm weight for more comfort and durability, while the calendared finish reduces water absorption and fabric density. UVX fabric’s unique structure enhances UV protection. COLDBLACK® TECHNOLOGY: Coldblack® finish, reflects infrared heat rays significantly reducing heat absorption, perspiration and improving performance. Lab testing shows, that coldblack® treated dark colours reduce core temperature more than non-treated light colours. 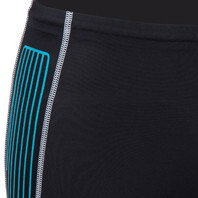 UVX Fabric with 700% elongation combined with low pressure leg and shoulder elastic for maximum comfort. Engineered to maximise vertical seam placement and minimise horizontal drag producing seams. 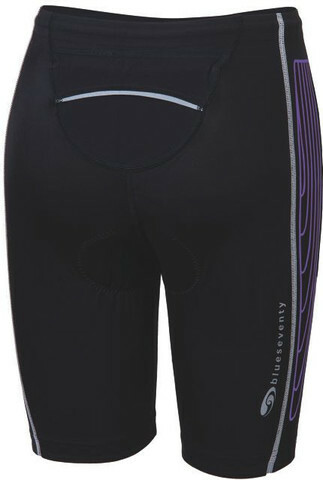 REAR POCKET: Single covered small pocket with reflective tape trim for security and visibility.